1. Fall in love with two wheels. We believe that bikes show a different perspective, and provide a more magical way to experience the world. Sometimes, that magic is lost in the struggle up a mountain. With electric-assist, you can ride further and see more of the world from the seat of a bike. 2. If you’re reading this, they’re built for you. Young, old, avid or amateur, you’ll definitely enjoy a spin on an electric-assist bike. It’s more fun than you think, and just the ticket to a perfect day on the bike. 3. It’s a workout, with just a little less work. It’s called “electric-assist” because that’s what it is; a boost when you need it, and a bike when you don’t. This isn’t a moped, and there’s no reason to feel guilty. It’s just another way to ride on your terms. 4. They’ll take you to the very best and back. No longer are the greatest views and most satisfying stops reserved for the hard-core riders. With electric-assist, you’ll see more summits, skylines and horizons that make every destination magical. You might even get there first. 5. They’re where the latest meet the greatest. 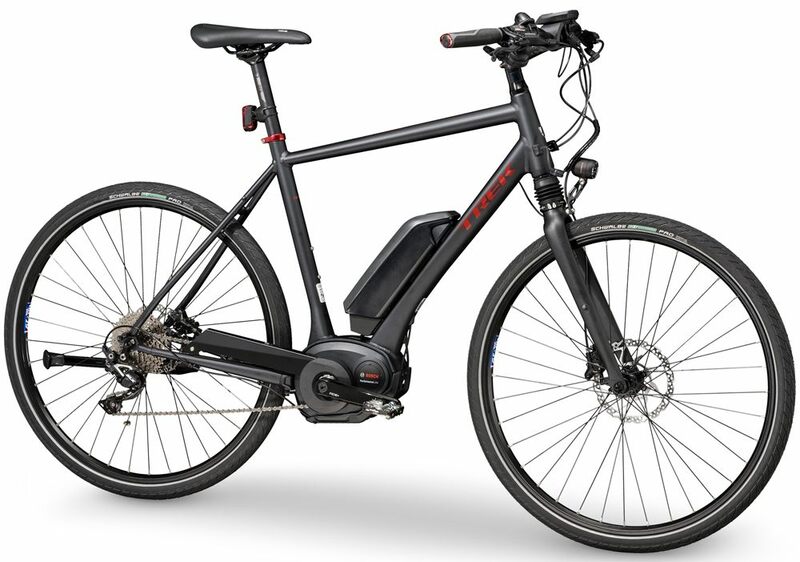 Simply put, there is no better electric-assist bike on the market than Trek’s XM700+. With a longer-lasting battery, lighter-weight frame, and extra-stylish design, we’ve got those other bikes beat. We know they’re fun. We’ve been riding them at the Trek Travel headquarters for months now. Yes, our guests love them. Yes, our guides love them. No, you can’t stuff one into your luggage. 7. They’re also built for the buddy system. We introduced electric-assist bikes so travel partners of two speeds can ride together. Because the best memories are shared, no matter the level of riding experience. 8. They’ve already taken the world by storm. Electric-assist bikes are standard equipment in Europe, where locals zoom from work, to home and anywhere in-between. And now they’re making a big entry into the U.S. market. If you’re riding one, you’ll fit in just fine. 9. They slay the mightiest hills. To some guests, hills are half the fun. To others, they’re roadblocks to get to the next activity. Luckily, electric-assist bikes can turn any mountain into a molehill. You’ll be surprised at how fast you can defy gravity. 10. They’ve got all the speed you need. Now you won’t need to worry about gaps from the group, changes in pace, or if you want to stop for a photo opportunity. Electric-assist bikes make it easy to stay with the Trek Travel tour at any speed. Watch how. The best part? You can upgrade to electric-assist for free. They’re first-come, first-served, so act now. It’s the easiest way to electrify your experience.